Gracie is ready to celebrate a traditional Deer Creek Christmas, but that would be too predictable. Her friend, Marci is opening The Mistletoe Bed-and-Breakfast after months of restoring the crumbling Victorian estate outside of the Western New York village. The grim history has captured the interest of the travel world and local residents. The house begins to reveal its macabre past on the cusp of the B & B’s opening, enmeshing Gracie and her husband, Marc into investigating crimes both past and present. Does evil still lurk under the Mistletoe? AVAILABLE AT AMAZON KINDLE OR PAPERBACK. Read for free on Kindle Unlimited. Think your family's dysfunctional? Meet Gracie Andersen's and the peaceful farming community of Deer Creek. Gracie has her hands full--a new business and trying to get her life on track after the loss of her husband and unborn child. When an odd gift from her troubled uncle thrusts her into an investigation of a cousin's tragic death 20 years ago, Gracie meets with opposition from family and friends. What really happened that rainy, October night when her cousin was killed by a hit-and-run driver? 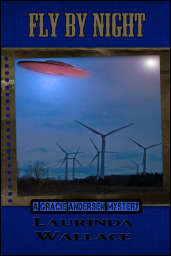 Someone is determined Gracie won't find the truth. With Haley, her black Labrador by her side, Gracie doggedly pursues the trail of clues to unravel the mystery of her cousin Charlotte's untimely death. 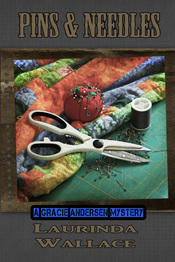 ...a great job of piecing the plot together, weaving in clues to keep the reader guessing. No good deed goes unpunished as Gracie Andersen, owner of Milky Way Kennels learns. Who knew offering hospitality and volunteering at the library would land her in a murder investigation? A valuable Civil War knife, one very frozen body, some "funny" accounting, and a mysterious stalker are adding up to big trouble for the Deer Creek Library. 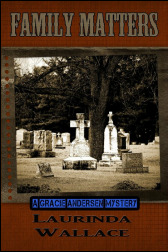 Gracie is determined to track down the murderer during the worst cold snap in 75 years. With a growing suspect list, Gracie and her precocious Labrador, Haley are on the trail of an elusive cold-blooded killer. AVAILABLE AT AMAZON IN PAPERBACK OR KINDLE. Read for free on Kindle Unlimited. Environmental concerns ignite an ugly controversy in Gracie Andersen’s hometown. Add in the mysterious lights seen hovering in the night skies and it’s no wonder the folks of Deer Creek are on edge. Politicians and environmentalists, steeped in questionable motives, are converging and facing off in the small village. After violence erupts at a protest event, the local UFO fanatic discovers a body on his property. The killer can’t be an alien, but there are plenty of earthly suspects on kennel owner, Gracie Andersen’s list. 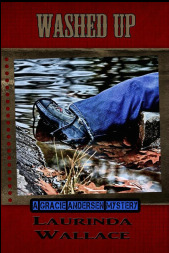 Haley, Gracie’s Labrador sniffs out some evidence that seems to lead to a dead end and Gracie's annoying cousin unintentionally rounds up the suspect pool. What’s the real motive for murder? Is it politics? Money? Personal? Or all of the above? KINDLE OR PAPERBACK Read for free on Kindle Unlimited. Gracie's vacation to Arizona to sort out her relationship with Deputy Marc Stevens immediately turns deadly. A battered body in a mountain stream, suspicious treasure hunters, and a missing teen are players in a dangerous drug cartel case. 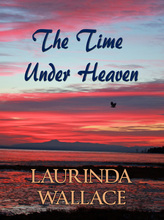 Her romantic life may fizzle as Marc focuses on the investigation, leaving her to explore on her own. A spur-of-the-moment hiking trip with her B & B hostess leads the pair to discover a crucial piece of evidence in an unmapped cave. That's when her vacation in the high desert heats up. A semi-finalist in the 2016 Kindle Book Review awards. ​KINDLE OR PAPERBACK Read for free on Kindle Unlimited. Gracie Andersen is up to her eyebrows in wedding details when her mother, Theresa Clark concocts an intervention for a friend who’s become a hoarder. Just as Gracie’s plans for a casual outdoor wedding turn into a literal pipe dream, Theresa stumbles into a mystery surrounding a stolen heirloom quilt. 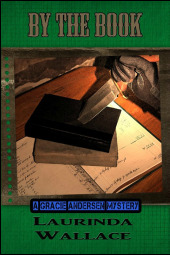 A death in the hoarder’s garage only complicates matters, and Theresa convinces Gracie to help her find answers to the surreptitious activities on Oak Street. If that wasn’t enough, Isabelle is scheming to commandeer the wedding, and Marc is having second thoughts about his career path. Everyone is on, you guessed it—Pins & Needles. KINDLE OR PAPERBACK Read for free on Kindle Unlimited. There are some cases a police officer can't forget. This is one of them. Retired Wyoming County Sheriff's investigator, Stephen Tarbell shares his personal account of a tragic and notorious case in Wyoming County, NY. A semi-finalist in the Kindle Book Review awards 2018. "A genuine inside view of police work in a tragic case. Well written and an engrossing read." David DiMatteo, Esq., Former Wyoming County ADA. Forced to leave her beloved Kenya, missionary Ruthanne Carroll begins a painful journey to reconnect with her estranged sisters in the U.S. The thin veneer of the Carroll family's perfection is shattered when Ruthanne appears unexpectedly at her sister, Elizabeth's home. One by one, the secrets they've concealed from each other are brought to light. While her sisters, Elizabeth and Melody are mired in their family dilemmas, Ruthanne makes a decision that will change their lives forever. Gardens of the Heart is a 30-day devotional for gardeners and lovers of gardens. 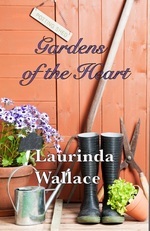 With a hoe in her hand, long-time gardener, Laurinda Wallace leads you through the Scriptures to help you cultivate a bountiful heart of devotion and obedience to the Master Gardener. Filled with beautiful nature photos, you’ll also find daily flower and vegetable growing tips that range from the down and dirty necessities to simple, effective ideas that will help make your garden flourish. So roll up your sleeves and grab your gloves, because it all begins with the soil in your backyard and, most especially, in your heart! This inspiring devotional makes a great gift for yourself or anyone who loves the beauty and peace of the garden. AVAILABLE AT AMAZON IN PAPERBACK OR KINDLE. In the fall of 1904, trouble was brewing between Dr. Alfred Silverheels and James Jemison. The two Senecas were living on the boundaries of what is now Letchworth State Park, Castile, NY. The so-called doctor was blatantly carrying on with Jemison's teenage daughter and one night, the father found a way to take care of the problem. Based on factual events, this historical fiction short story reveals the details of the rather shocking crime. Told through the eyes of Frank Webster, the actual owner of the livery in Castile, NY in the early 1900s, the unfolding drama follows the investigation and trial of Jemison for the murder of Silverheels.A short story based on an actual case from 1904. ONLY 99 cents.